When you just need a refresher on a topic that you’ve not visited for ages, like app publishing, there’s a simple and quick way to feel like a super-capable ninja. There’s always Google, but, for more specific info on Blippit IO there’s a Knowledgebase accessible from within Blippit IO itself via the Help/Info icon. 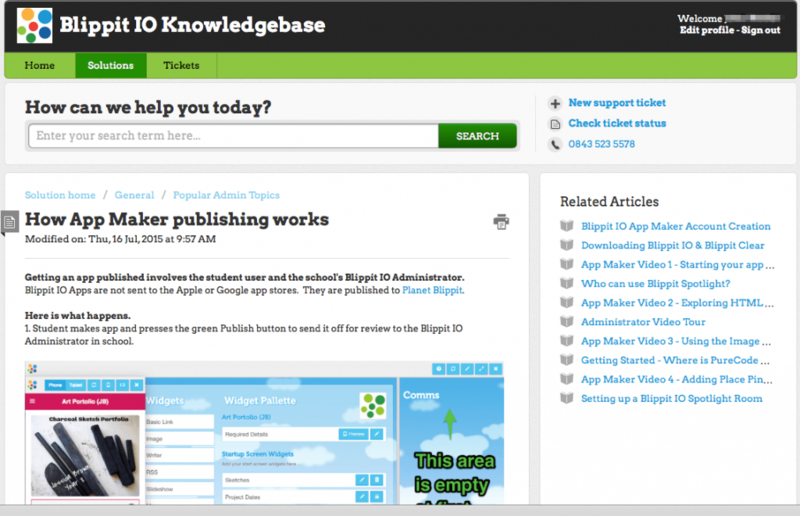 Above is a screenshot of the popular topic of app publishing from the Knowledgebase. This entry is a series of screenshots that walk you through the process. 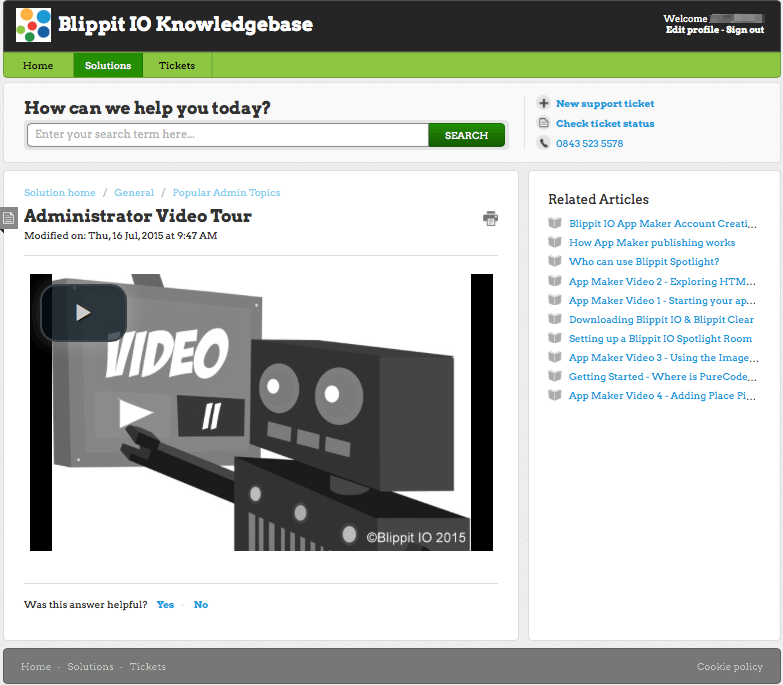 Other topics and tours feature videos to watch like the Admin Tour. So, don’t feel stuck whatever you do. 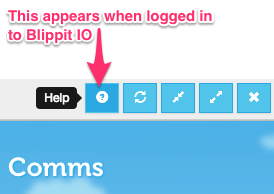 Click the Help/Info icon in Blippit IO when you’re logged in and you’ll never be far away from the information you need.